Claude lived a strictly ascetical life, giving his surplus income to the sick, the poor and needy converts. 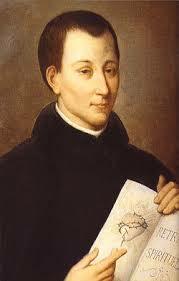 In the summer of 2006 the relics of St Claude de la Colombière came to Ireland visiting many cathedrals and churches. Through him devotion to the Sacred Heart of Jesus became widespread in the Church. Patrick Duffy tells his story. Born in 1641 at Saint Symphorien d’Ozon near Lyon in France, Claude was educated at the Jesuit college in Lyon, joined the Jesuits and began teaching at the college. He completed his theology studies in Paris and the high opinion his superiors had of him led to his appointment as tutor to the sons of Colbert, the finance minister of King Louis XIV. However, this ended when he was found to be the author of a satirical article attacking Colbert. Ordained in 1669, he returned to teaching posts at Lyon and Avignon. While he was Avignon, he worked on sermons to counteract the growing Jansenism of the time, emphasising God’s unconditional love and forgiveness on the one hand and free will on the other. After completing his tertianship in 1674, he became the superior of the Jesuit house at Paray-le-Monial. It was here that he became the spiritual advisor to Margaret Mary Alocoque, a Visitation sister who experienced visions and revelations about the Sacred Heart of Jesus, a devotion which was rather new at that time. Claude was able to recognise the genuineness of her experiences. By supporting Margaret Mary and recording the visions she had, he was instrumental in having Jesus’s request to establish a feast of the Sacred Heart on the Friday after the Octave of Corpus Christi brought to the Vatican authorities. However, in September 1676 Claude was recommended by Louis XIV’s confessor as a preacher to the Catholic duchess of York, Mary of Modena, recently married to James, the younger brother of King Charles II. His predecessor in the post, also a French Jesuit, had been so overwhelmed by the palace intrigues that he went back to France. Claude preached at every Sunday and feast-day Mass in the chapel of St James’ Palace, where many courtiers and foreigners attended. 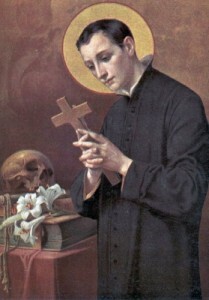 He often spoke of devotion to the Sacred Heart. One of the friends he made there was the English Franciscan, Father John Wall, with whom he spent a night in conversation and celebrated Mass in his oratory. Father Wall later died a martyr and is one of the Forty English Martyrs canonised in 1970. Claude lived a strictly ascetical life, giving his surplus income to the sick, the poor and need converts. He developed chest troubles himself and began to cough up blood. It was at this time that Titus Oates “exposed” the so-called “Popish Plot” of Jesuits and other Catholics planning a rebellion, to kill King Charles II and put James, the Duke of York, on the throne. Claude was arrested and detained in the notorious prison of the King’s Bench in Southwark. However, on the intervention of King Louis, he was sent back to France on 6 December 1678. Back in France, Claude was so weak he was unable to work at first. He made a visit back to Paray-le-Monial, where he drew much consolation from his visit to Margaret Mary. 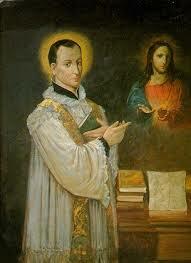 After some rest he became spiritual director to the Jesuit scholastics at Lyon. Two years later he was back in Paray, where he paid two visits to the Visitation convent before he died on 15 February 1682 and was buried without any great acclaim. It was only after his death, when those who received spiritual direction from him began to talk to one another, that his brother Jesuits began to sift through his papers and to realise Claude’s own sanctity. Two years later, his writings were published in six volumes. Notes he made of Margaret Mary’s account of the vision of the Sacred Heart she had during the Octave of Corpus Christi 1675 and his reference to her as “a person to whom God communicates himself confidentially” were the first means by which the feast of the Sacred Heart became established in the universal Church. Pope Pius XI beatified Claude in 1929 and John Paul II canonised him in 1992.